The book starts with tales of Jones’ dissolute life as a clubber and fashionista on the London scene. She stumbles from crisis to crisis, grappling with drug and alcohol dependency. At last, victory – she gets into rehab, rebuilds her life and meets the man of her dreams, Nick. Then, disaster – she is diagnosed with breast cancer. This part of the book is filled with great tips for healthy living and fascinating insights into how to cope with an unexpected life crisis. In a no-holds-barred account Jones puts her own weaknesses under the magnifying glass as much as those of her dastardly boyfriend (oh how we love to hate him!) She examines with glaring honesty a topic that, we suspect, we all relate to yet hesitate to admit – the cruel dance of love addiction and love avoidance. It is an eye-opening read for anyone who has been knocked sideways by love’s reversals. Above all, The Elegant Art of Falling Apart is a tale of friendship in adversity. The author describes a delightful cast of characters that surround her. We couldn’t help but fall in love with these people and their eccentric attempts to rescue their friend when the going gets tough. Jessica Jones pulls off that rare feat of making us cry and laugh out loud, sometimes on the same page. This is black humour at its best. 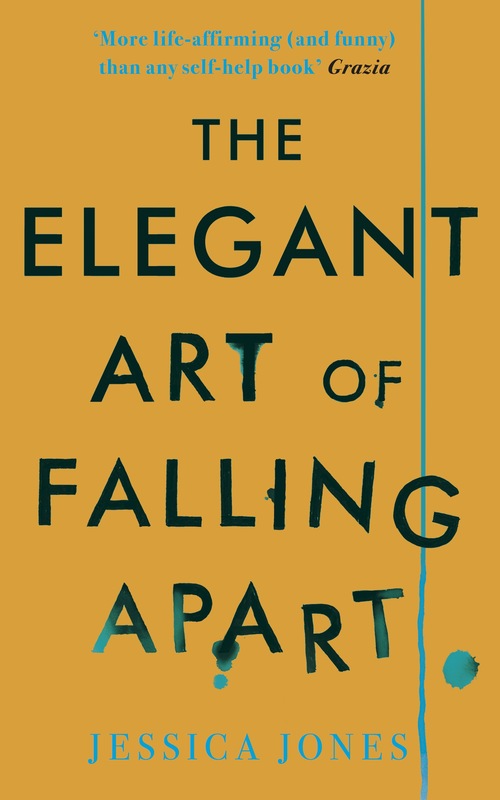 Buy The Elegant Art of Falling Apart from Amazon, or from Unbound. This entry was posted in T&S World, We Love and tagged addiction, book of the month, breast cancer, friends, love addiction, love avoidance, relationships, The Elegant Art of Falling Apart, Trinny and Susannah. Bookmark the permalink.